Senior Katharine Archer has been performing for as long as she can remember. She began dancing at the age of three; she started doing stage crew for school shows during her freshman year of high school. “I’ve kind of always been on the stage and loved the stage,” Archer says. When Archer came to Catholic University, however, she chose to major in math, with plans to teach after graduation. But this hasn’t meant that Archer has had to leave the stage behind. For the last four years, she has been involved with CenterStage, a student-run theatre company. In that time, Archer has served as an assistant stage manager, a stage manager, and a production manager for various productions. Now, she serves as finance director on the board of CenterStage. CenterStage, a student-run theatre group at CatholicU, performed Proof, a Puliter-Prize-winning play by David Auburn as its Winter 2018 production. At Catholic University, students not only have access to the vibrant arts scene in Washington D.C.—including the high-level contributions of Catholic University's own Rome School of Music, Drama, and Art—they have opportunities to create art. 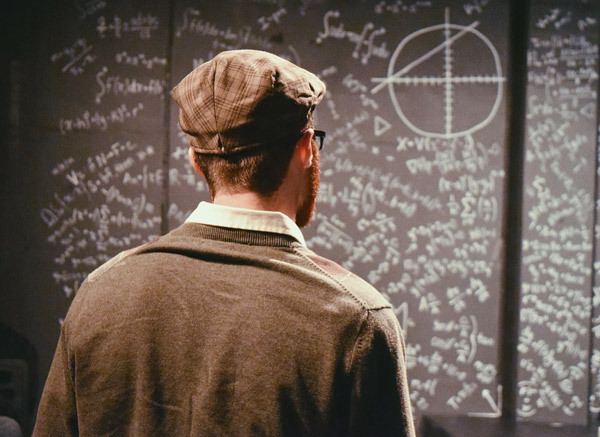 Whether they major in musical theatre or math, studio art or physics, the arts are available to all students at Catholic University. 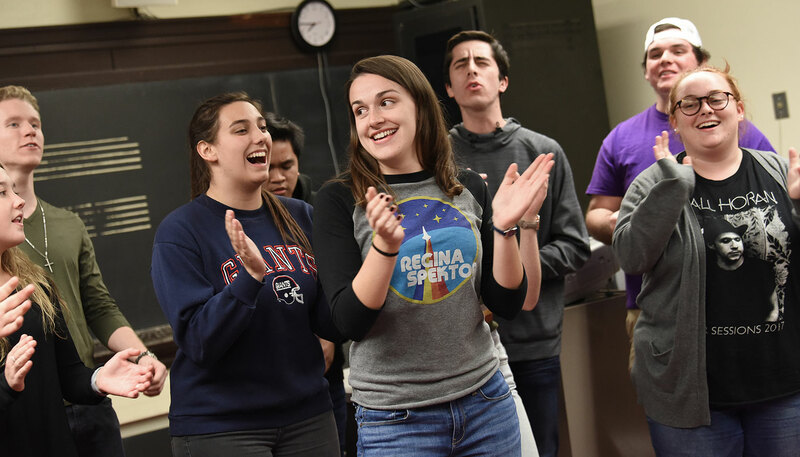 For 40 years, CenterStage (originally the "Not Ready for Hartke Players") has been producing plays for the Catholic University community—and giving students the chance to perform. This year, CenterStage has produced six shows, including new, student-written works. The company includes both students majoring in performing arts, who plan to pursue careers in theatre, and students majoring in other fields for whom theatre is a passion. 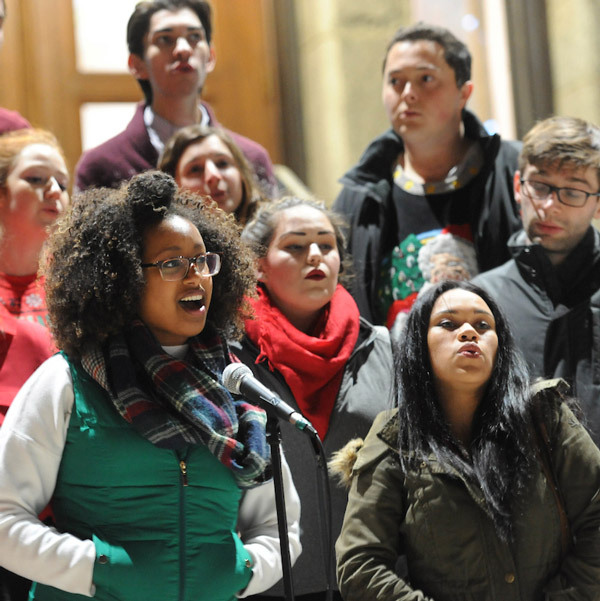 Members of Redline sing at the University's annual Christmas tree lighting. Both Redline and Take Note perform regularly throughout the year at annual University events like Spookappella (hosted by Redline every fall) and Shamrockappella (hosted by Take Note each spring), with other a cappella groups in the D.C. area, and at the International Championship of Collegiate A Cappella. “If something brings you joy,” says senior psychology major and Redline member P.J. Connolly, “it doesn’t really have to be justified ... If you’re passionate about something and you’re good at it, I think you owe it to yourself to pursue it.” At Catholic University, students have the opportunity to do just that. CUA Dance Company brings together students from diverse academic disciplines to work on dance technique and prepare student-choreographed pieces for performance. The company has three major performances each year: Arts Fest (fall semester), and Women in the Arts Night and Spring Showcase (spring semester). Art Appreciation Club has a mission to “go where the art is” in order to experience art pieces and exhibits in the Washington, D.C. area. CUA Gaels is dedicated to celebrating Irish culture and has an Irish dance team that competes at intercollegiate festivals and performs at University events and other events in the D.C. area. The Rome School of Music, Drama, and Art offers a variety of courses open to non-majors.